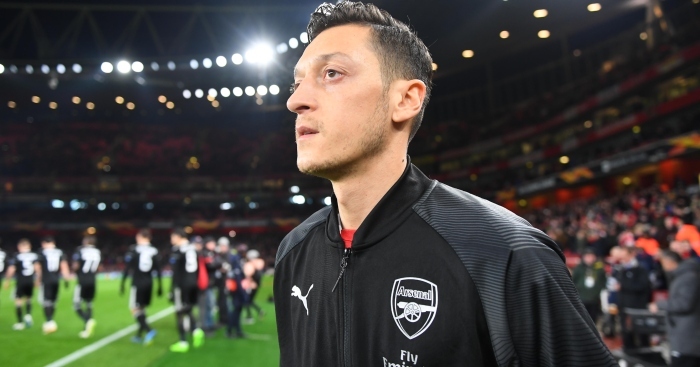 Inter Milan leading race to sign Arsenal attacker Mesut Ozil and preparing to make an offer during the summer transfer window. The Italian club have problems in the front-line as Radja Nainggolan and Joa Mario are in a bad form and their back-up is necessary. Germany international is the perfect option in this situation as he also wants to get a regular place in starting line-up and ready to change the working place. Luciano Spalletti set to pay big money for the footballer during this summer. PSG and Atletico Madrid also interested to sign him and there will be a real battle for the player. His price could increase and become much more. Mesut joined the Gunners from Real Madrid in 2013 with a €45m deal. He was a key figure for the club but after Unai Emery arrived in London he moved to the bench. In this season, Ozil already played 18 games, scored 4 goals and made 2 assists in all competition. This is an impressive result and he can do much more if he gets regular game time. The 30-year-old midfielder is contracted with Arsenal until 2021 and his release clause is nearly €40m. He played regularly in the national team and also won the 2014 World Cup with them but after a conflict with the manager, he finished his international career. Nerazzurri will do everything to add him during this summer. Aaron Ramsey also planning to leave the London club as Juventus keen to sign him and ready to make a bid during the transfer window.